Assisted Living at Home gives the ability to have services brought to you, so that you can remain safe, comfortable and well at home. 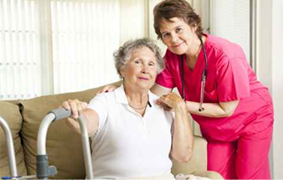 Our staff of Healthcare professionals will help you live in your own space. CarePro is the only agency in the area that GUARANTEES scheduled coverage! YOU can reach management 24 hours per day! CarePro provides Medical and NON-Medical services to assist you achieve optimal wellness! CarePro is a locally owned and operated company serving the Dartmouth Region. Our service area is a one hour radius from Hanover and DHMC. Educational Resources on our site to promote your wellness goals and understanding. We carry an exclusive line of products which are designed to promote optimal wellness that are recommended by over 5,000 Healthcare Professionals nationwide! Companionship services is just that, a person to be a companion to be that extra set of hands, feet and organizational service to achieve your individual goals as you thrive in your home environment! 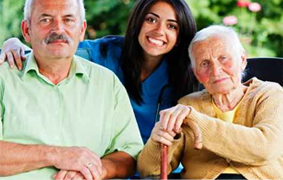 Personal Assistance is sometimes necessary and CarePro has Home Health Aides, LNA's (Licensed Nursing Assistants) CNA's (Certified Nursing Assistants) LPN's (Licensed Practical Nurses) and RN's (Registered Nurses) to assist you! 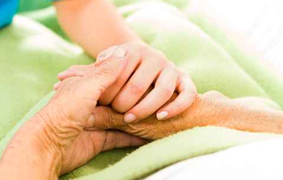 Hospice Care/Comfort Care are choices that are very personal and we respect the individuals right to choose how they will spend their time on their life journey.